In response to the energy crisis of 2009, the creation of an energy union has been promoted within the EU with varying degrees of commitment. Initially, the idea was called the European Energy Community, and was popularized by former European Commission President Jacques Delors and the former European Parliament President Jerzy Buzek. Their conception emphasised the creation of a common energy policy by developing energy solidarity mechanisms. While the name of the project as well as its main promoter (now Donald Tusk) have changed, the idea, proposed as a response to the energy crisis, is still valid. The consequences of the Ukrainian-Russian conflict have highlighted the need to take decisive action in the context of developing a common position on energy policy issues. The events on the eastern border of the EU, as well as the interdependence of natural gas markets have shown how important it is for EU member states to build not only a common market for electricity and natural gas, but also to develop mechanisms for cooperation, aimed at creating an energy union. Not only is this important from the point of view of securing natural gas supply to the EU, it is also an effective instrument in the case of the use of energy resources as a political weapon by exporting countries. The energy union is a desirable mechanism for ensuring energy security, especially for those countries dependent on supplies from one direction, which weakens their bargaining position when negotiating contracts for the supply of natural gas. The main purpose of its creation is to ensure that the EU and its member states enjoy energy independence, and to create within its framework the mechanisms of solidarity in the energy sector. Currently, the difficulties arising from crossing barriers in the construction of the internal market in natural gas and electricity are the result of a situation whereby individual member states decide on their energy policy matters themselves. The construction of an energy union has thereby been hampered; resolving this issue will take several years. The planned energy union is an attempt to centralize issues related to natural gas and to shift the focus in this area from the EU member states to the EU institutions. Its main objectives are based on six pillars. The assumptions behind the energy union are in essence a response to the challenges and threats the EU has been facing in the field of energy security, but also more broadly in the context of achieving and developing a common market of natural gas and electricity. These assumptions should be seen as complementary. The basic assumption of the union is to develop efficient energy solidarity mechanisms in the event of suspension or reduction of raw material supply. At the same time, the need to develop this type of arrangement is included in the provisions of the EU’s first law. The Treaty of Maastricht already envisaged the introduction of a common energy market, which would be part of the single market. Whereas the Treaty of Lisbon art. 100 provided the Council with the opportunity to make a decision, at the request of the European Commission, in the event of difficulties in the supply of certain products, primarily in the area of energy. Thus, within the framework of the European Union there are legal regulations in the field of energy solidarity mechanisms, which were additionally supplemented with directives. In this context, the first was the Directive 2004/67/EC of April 26, 2004, concerning the measures to safeguard the security of gas supply. According to this regulation, energy solidarity was implemented as a principle for the functioning of the European Union. At the same time, it introduced the option that it could be enforced in the case of an emergency. In accordance with the provisions of the Directive, the energy solidarity mechanism could be activated in the case of disruption of 20 per cent of gas supplies to the EU from third-party countries, and when actions taken by individual states have proven to be insufficient. This document has been repealed by Regulation (EU) No. 994/2010 of the European Parliament and of the Council concerning measures to safeguard security of gas supply. The document stated that the measures taken by the member states were insufficient, and thus a coherent and coordinated action in this regard was required. The second pillar is the expansion of energy infrastructure, including transport, receiving and storage. EU action in this area should focus on financing infrastructure projects, which have a significant impact on common network of connections among the member states. Energy security infrastructure is important as far as its main objective is concerned: ensuring the stable and uninterrupted supply of energy resources to the European market. The infrastructure projects, next to the expansion of the transmission network, will also include projects increasing storage capacity. From the point of view of the actual implementation of the energy union this assumption is crucial. Firstly, it is an indicator of the progress of the energy union development. Secondly, it is an indicator of the possibility of actual application of energy solidarity mechanisms in the event of a crisis. The third pillar of the developing energy union is to create mechanisms for joint purchase of energy resources. This will reduce the disparities present in the purchase price within the EU, often determined on the basis of political considerations. This would reduce future use of energy as part of political pressure on countries that import raw materials from a single supplier. Joint purchase of natural gas is modelled on the mechanisms used at the joint purchase by the EU of uranium used in nuclear power plants operating on its territory. Donald Tusk also called for a strengthening of the role of the European Commission and its important role in controlling the transparency of bilateral agreements that are currently being drawn up by the member states. This pillar of the energy union raises the most controversy, as well as concerns about the success in this field. The European Commission refers to the argument of monopolization of the natural gas market, and hence a loss of competitiveness. The countries with a strong position in their relations with suppliers do not see the need for such far-reaching legislation. Whereas the joint purchase of natural gas is important for countries with a weak bargaining position when negotiating and renegotiating contracts for the supply of natural gas coming mainly from the Russian Federation. Another pillar of the energy union refers to strengthening the EU’s bargaining position with external suppliers. This requires the development of a single EU position on issues important for the EU and its member states. Since member states can exercise competence as far as the energy issue, this will be difficult to achieve. As practice shows, at the level of energy, individual EU countries have developed effective bilateral cooperation, thus fulfilling their own national interests. Diversification of energy sources used by the member states is another point in the energy union concept. 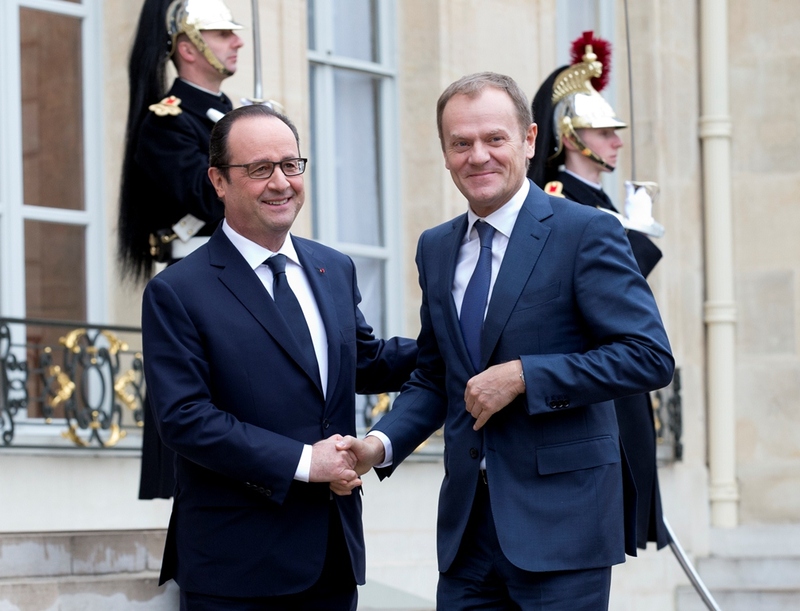 In his proposal, Donald Tusk has stressed the need for the use of domestic energy sources, mainly coal and shale gas. The mere fact of diversification of energy sources is consistent with the work of the European Commission. Forecasts pointing at the depletion of energy resources, as well as unrelenting demand have caused diversification to become the current trend. Still, due to the need to reduce greenhouse gas emissions into the atmosphere, the EU member states are seeking to increase the use of renewable energy sources in their energy mix. Polarization of stances of the member states in relation to the production of natural gas from shale on their territories makes the use of this energy source difficult to achieve on a large scale. In contrast, the use of coal is justified from the point of view of its role in the Polish energy mix. Diversification within the framework of the energy union also applies to actions undertaken to expand the structure of energy suppliers. A desirable direction for diversification is to include supplies from the U.S., Algeria, and other Arab countries, as well as to consider the supply from Latin American countries. The assumptions behind the energy union are not popular among all EU member states. For the most part it is connected with the national interest of individual countries, which, for many years, have had good relations with the Russian Federation (not only in the energy sector). The member states with extensive energy infrastructure and with sufficient reserves of energy resources do not seek to change the mechanisms of cooperation. In addition, individual assumptions of the energy union have caused certain doubts of not only the individual EU member states, but also of their institutions, primarily in the field of centralized purchasing of raw materials. Contentious issues in the natural gas sector, for example, the project of building the South Stream, show that those who support it (Austria, Bulgaria, Greece, Italy) continue to put their national interest over a joint stance. On the other side of the pole are those who support the development of the energy union in the proposed form (Poland, Lithuania, Latvia, France). However, the implementation of the proposed rules will strengthen the position of the EU and its member states in their relations with the Russian Federation. It is of fundamental importance for the EU to strengthen the independence from suppliers. Adoption and implementation of the proposal will result in increased energy security of the European Union. The assumptions of the energy union are also consistent with the assumptions adopted at the summit of EU representatives in Brussels on March 21, 2014. During the summit the need was emphasised to take action in order to reduce dependence on suppliers of raw materials, mainly from the Russian Federation. Effective action to establish the energy union is necessary due to the increasing dependence on energy resources supplies. In addition, the issues related to infrastructure, which is of strategic importance for the development of the internal market of natural gas, are endorsed and supported by the European Commission. This is expressed in activities such as infrastructure integration initiatives; for example, the Baltic Energy Market Interconnection Plan. It is in Poland’s interest to continue efforts to implement the concept of the energy union. It will contribute not only to improving energy security, but will translate into security of the country. Action is needed as far as the most debated issues are concerned, where a compromise will be particularly difficult to achieve. In this context, a joint purchase of energy resources is especially important. At the same time, the projects aimed at the development of energy infrastructure need to be supported. Additionally, one should promote investments in the use of alternative energy sources. It is essential to take effective measures to promote the development of the energy union which would directly and measurably translate into a well-functioning electricity and natural gas market. Implementation of these measures should be of multi-direction character and the emphasis should be placed on the development of energy infrastructure. Construction of the energy union based on these assumptions in the future will contribute to the EU’s achieving relative energy independence. This is not only significant from the point of view of the countries in the eastern part of the EU, but for all its member states, because the state of energy security of the EU is evaluated by its weakest member. There is a need to integrate energy policies of member states and replace bilateral relations with the countries exporting raw materials in favour of multilateral relations. These actions will reduce the risk of the use of raw material as ‘energy weapon’ by exporting countries, and consequently the possibility of their influence on policies of the EU and its member states.